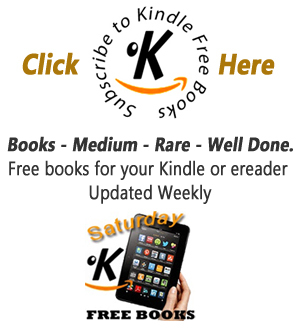 Amazon have just unveiled the new Kindle and have produced not one but four new options; the Kindle, Kindle Touch , Kindle Touch 3G and the Kindle Fire so has something for everyone. 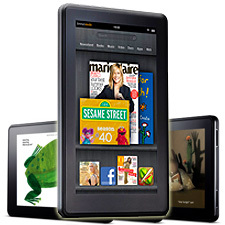 The flagship of the range is the Kindle Fire. This is Amazons version of the ipad and other tablet devices. It features a 7 inch square full colour touch screen making it more than a simple e reader. You can access the Amazon store and download and play MP3s, videos, music and android apps as well as books, now available with colour illustrations. Hopefully the colour screen will not detract from the easy reading experience of the original kindle. The Kindle Fire comes with wifi access but not 3G as yet. It is available from the 15th November and priced at just $199 in the USA it seems likely to make its way into millions of Christmas stockings this year. 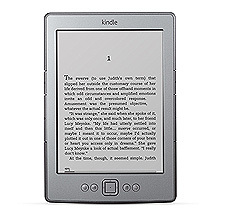 The Kindle Touch is similar to the original kindle but features a touch screen so is much more user friendly. It uses the same e ink screen as before so provides all the easy reading features we have become accustomed to. The keyboard has gone and has been replaced by the onscreen interface and it is smaller and lighter than original models. It comes with either wifi or wifi and 3G access. 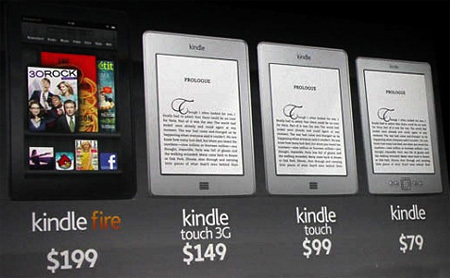 The Kindle Touch and Kindle Touch 3g will be available on November 21st. The last in the range is a new look for the existing kindle. Smaller than existing models, the keyboard has been replaced by a five-way controller and an on screen interface. This model is not touch screen. Storage space on the device is smaller than in current models but you get free cloud storage and can re download free of charge when you want it. This Kindle seems aimed at cracking the worldwide market and is available in most European languages. 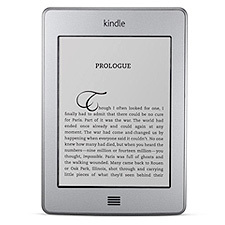 The kindle is available now for the cheaper price of £89 in the UK and just 79$ in the US.